The history of philosophical persecution is an odd reflection on the human personality. In Pensées, Blaise Pascal asks man to “hate self”. This call for self-loathing is repeated and discussed at length throughout his work. It is rooted in an understanding of the physical world as low and corrupt. “Man is nothing compared to the infinite”, he writes. Human beings are low, he concludes, because they are finite. Their relationship with God/infinity is their only source of salvation. Pascal outlines an unsubstantiated graded hierarchy with God on top, nature at the bottom and man dwindling in between – at some mystical half-way point somewhere between heaven and hell. For these ideas, Pascal was never persecuted. Not all thinkers share the same luxurious fate though. Just over one thousand years ago, and 701 years before the birth of Pascal, in Baghdad, a wrinkled old man was chopped to pieces for claiming “ana al-haq” – I am the truth. Like Pascal, the great Sufi saint, Mansoor al-Hallaj, had a strong faith in God. Like Pascal, he spoke at length about the relationship between man and God. Unlike Pascal, he claimed that God and man (creation and created) were one. He drew no dividing line between man and his maker (or anything else for that matter). For this, he was brutally punished. The difference between Hallaj’s devotion and that of Pascal might seem trivial. However, they have deep philosophical and practical purport. Hallaj is part of a long line of philosophers who paid a considerable price for their thoughts: Socrates was forced to drink hemlock. Jesus Christ died on the cross. Voltaire spent his life in and out of exile. M. K. Gandhi was assassinated. Henry David Thoreau was put behind bars. Even Albert Einstein, for his dabbling interest in philosophy, was made a constant object of surveillance by the CIA. Life has never been easy for the probing philosopher. However, these personalities have more in common than the mere habit of critical thinking. Each, in a different way, put forward a thesis of absolute egalitarianism: Hallaj argued that God and man are equal. Socrates held that all human beings have an equal capacity for reason. Christ held that all human beings are one and have an equal chance at salvation. Gandhi determined that Hindus and Muslims in South Asia are one people. Voltaire, followed more forcefully by Thoreau, argued that all men possess the right to equal treatment under the law. Einstein argued that the rich and the poor must have equal power and equal access to resources. These men were not murderers, rapists, or even cult leaders. Still, each was met with the fiercest punishment society had to offer. Pascal’s contemporary, Galileo Galilei, for example, was tried by the inquisition for heresy and forced to spend the end of his life under house arrest for a tract of ideas that challenged the preeminent position of man in the natural world. Unlike Pascal, Galilei’s views were deeply challenging to the contemporary order which depended upon the thesis of man’s superiority over nature. Pascal’s thesis was directly responding to the breakdown of the authority of the Catholic church, which figures like Galilei made possible. Why are egalitarian arguments this dangerous? The imagination of difference facilitates power and hierarchy, while the acceptance of any form of equality or unity defies power and order. Pascal grounds his work in self-hate. This self-hate functions as an efficient mechanism of fracture, which forms a foundation for difference and thereby hierarchy. Ultimately, Pascal is setting the grounds for a top-down order by arbitrarily etching order onto the blank canvas of metaphysics. His ideas present no challenge to authority. 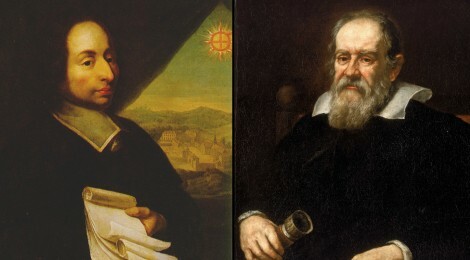 Galilei, on the other hand, by positing an earth that revolves around the sun and making demands for objective observation of the world beyond invented orders, offers a direct attack on the building blocks of authority and hierarchy. This is what makes Galilei, Hallaj and their fellow egalitarians so dangerous to the status quo: in their successful questioning of arbitrary differentiation, they are implicated in a direct challenge of power and authority – at all levels. This does not mean that they simply pit themselves against the established institutions of authority. More subversively, they find themselves pitted against contemporary stereotypes and prejudices of the human mind that find comfort in the assumption of difference. These stereotypes, though ignorant, are often convenient. Stereotypes and prejudice offer some sort of illusory reassurance and validation – both for oppressed and oppressor. They allow people to assume that those who serve, serve for a reason, and those who lead, lead for a reason. As Gandhi argued, the average British citizen could live with the imperialism of her state because she was convinced that those who were being colonized were less. A plethora of arguments, including the “White Man’s Burden,” were put forward to facilitate this assumption. Similarly, the assumption that women are weaker, or somehow more vulnerable than men, has had a significant impact on what people can and cannot assume or justify in the condition and treatment of women. These stereotypes, based on graded differentiation are invented through the construction of arbitrary value and then preserved by social ritual. Standards of femininity and masculinity are invented and then validated and ranked through standards of clothing, tastes, conduct and physical constitution.